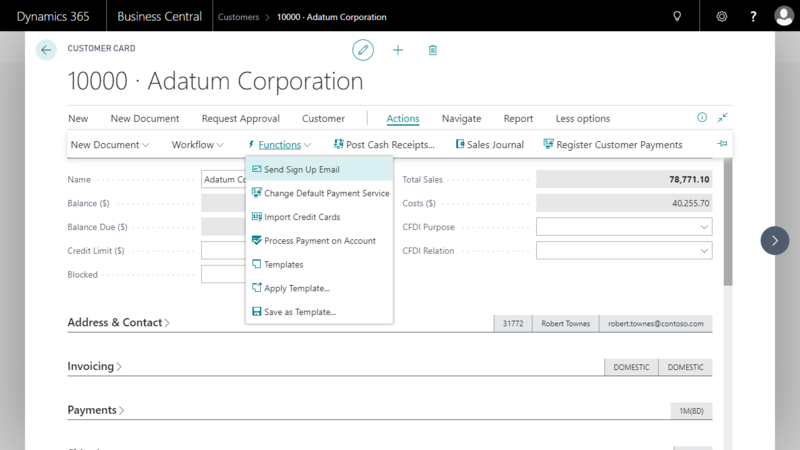 If you need information on how to create a new customer, you can find this in the Microsoft Dynamics 365 Business Central documentation here. We are going to look at the credit card specific setups for an already existing customer. This is done using a payment service. You can learn more here about setting up a payment service for credit card payments. You can learn more here about what payment services can do. 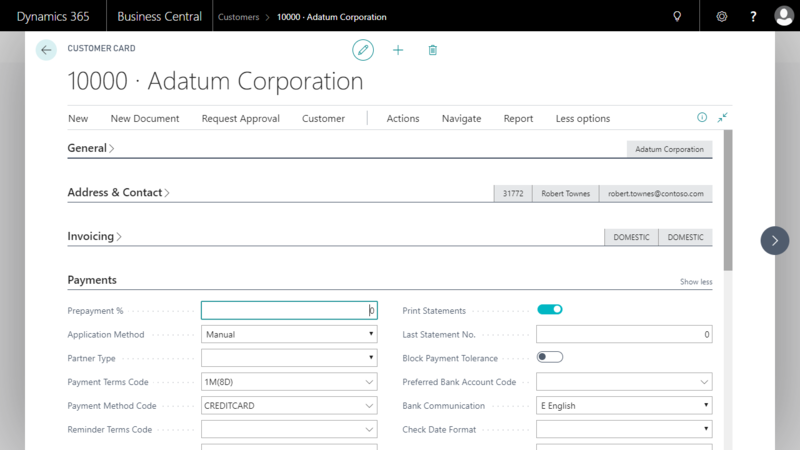 Please go to Service Connection Setup to configure a payment service properly for this.